Managing a fishery is a tough job—it’s an unsteady balance of science, politics, and economics that even rich countries like the United States don’t always get right. For tiny Caribbean nations like Barbados, 155th in the world in gross domestic product (GDP), accurately counting fish and enforcing regulations is nearly impossible. Overfishing has hammered the country’s reefs, but its managers struggle to even quantify the problem: they lack the resources to conduct stock assessments, the foundation of many management plans. Barbados’ reefs are heavily fished, that much is known. But the scale of the fishery is hard to assess without systematic observations. What’s a concerned researcher to do in such a data-poor environment? If you’re Henri Vallès, an ecologist at the University of the West Indies, you turn to parrotfish. Parrotfish are gaudy creatures that, in Barbados, range from hand-sized striped parrotfish to clarinet-length stoplight parrotfish. Though parrotfish aren’t nearly as valuable as the grouper and snapper that Barbadian fishermen favor, commercial and subsistence fishers pursue them all the same. Because the garish grazers grow more quickly and reach sexual maturity earlier than other targeted fish stocks, parrotfish have remained relatively abundant while other species have floundered. A few years ago, parrotfishes’ ubiquity got Vallès thinking: maybe individual parrotfish, being fairly easy to find, could provide fisheries managers with a quick and easy measure of fishing pressure, a “stock assessment lite” for a resource-strapped country. The idea hinges on the familiar notion that overfishing causes the average physical size of fish to shrink, as fishers target the biggest and most valuable individuals. In a 2014 paper, Vallès combined Caribbean Sea-wide data sets on fishing pressure with measurements of parrotfish size and abundance and confirmed his hunch: the more heavily fishers exploit an ocean area, the smaller its parrotfish. That relationship, Vallès and his colleagues found in a 2015 follow-up study, holds true on smaller scales in Barbados. From reef to reef, more intense fishing means smaller parrotfish. There is a similar correlation between fishing pressure and the sizes of more valuable species, but in parrotfish the relationship is linear and much stronger. Because the nets and traps that capture parrotfish also take snapper and grouper, parrotfish provide a useful barometer for the pressure being exerted on these other species, too. Simply measuring the size of a reef’s parrotfish can therefore give managers a snapshot of overall fishing pressure. If you want to be certain that, say, a Marine Protected Area isn’t being hammered by poachers, you can survey its parrotfish and get a handle on how much covert fishing is going on. The daunting task of managing Barbados’ fisheries may have just gotten a little easier. 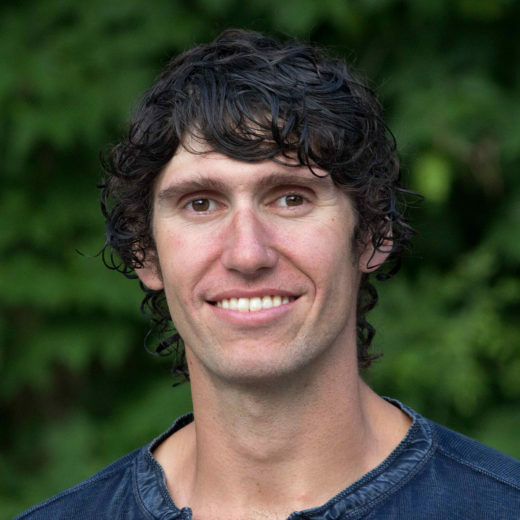 Cite this Article: Ben Goldfarb “Turning Parrotfish into Proxyfish,” Hakai Magazine, Dec 2, 2015, accessed April 23rd, 2019, https://www.hakaimagazine.com/news/turning-parrotfish-proxyfish/.